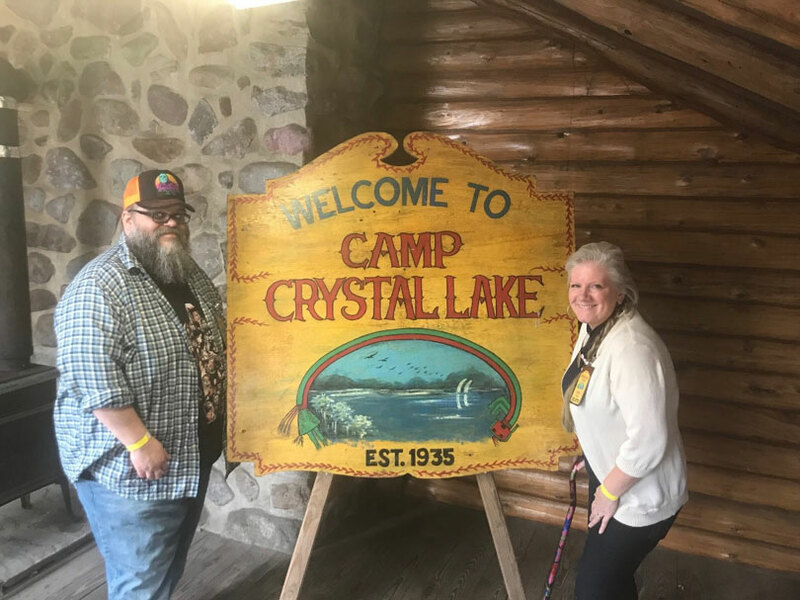 This past Friday the 13th, I celebrated with the horror lover’s experience of a lifetime, surviving a day at Camp Crystal Lake! The alarm goes off at 5:15 a.m. ET on Friday, April 13, 2018. This is earlier than my alarm goes off for a work day, but today is no work day. 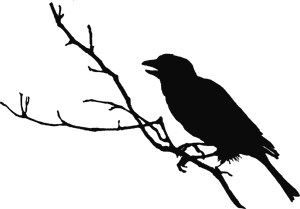 Instead of hitting the snooze, my eyes pop open. In truth, I hadn’t slept much the night before. I was too excited about the day’s events. Then I was struck with momentary terror about where I was going and what was planned. I’m nearer to 50 years old than I’d prefer to be, not in the best of shape, and have a newlywed wife who has limitations on how far she can walk and how long she can stand due to a back injury. And yet I jumped at the chance to buy tickets for the Friday the 13th Shooting Location Tour at Camp No-Be-Bo-Sco* in Hardwick, NJ — or, as it is better known to fans of the movie, Camp Crystal Lake. At 7:15 a.m., we were on our way. There are many stereotypes of New Jersey. We don’t all talk like Tony Soprano, and we don’t all live off of a Turnpike exit number. Another common belief is that most of the state looks like North Jersey (Jersey City, Newark, etc. ), but there is much of the state that is green and lush and studded with rivers, streams, lakes, ponds, etc. Our drive to Blairstown was incredibly picturesque. And for being rush hour on a work day, we encountered very little traffic. The instructions we received via email stated that, while the tour would start at 9:00 a.m., guests should start arriving at 8:30 a.m. We got there a little after 8:30, and there was already a line of cars waiting to park. There were two checkpoints to go through: one checked ID and verified the tickets; the second re-verified the tickets and gave us our personalized ID badges. All attendees gathered in the great hall, where the scouts would eat their meals during camp days…and where the first scenes were shot for FRIDAY THE 13th. 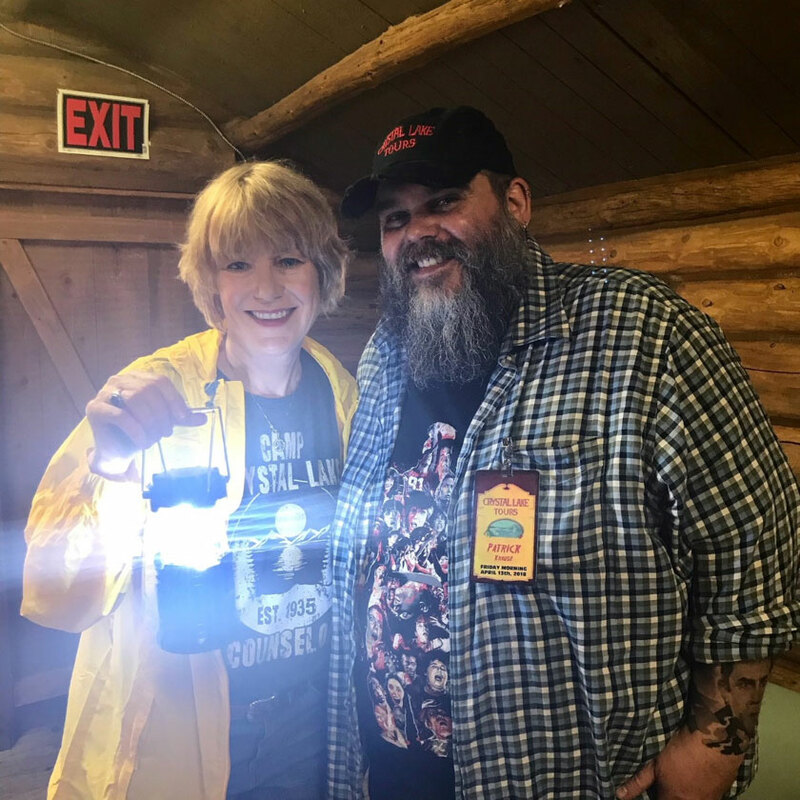 Before being split into our smaller groups, we were surprised by the appearance of Adrienne King! Adrienne came out to welcome us all to Crystal Lake, tell us that she hadn’t been back to the location since the movie was filmed (and that she had actually stayed overnight in one of the cabins). 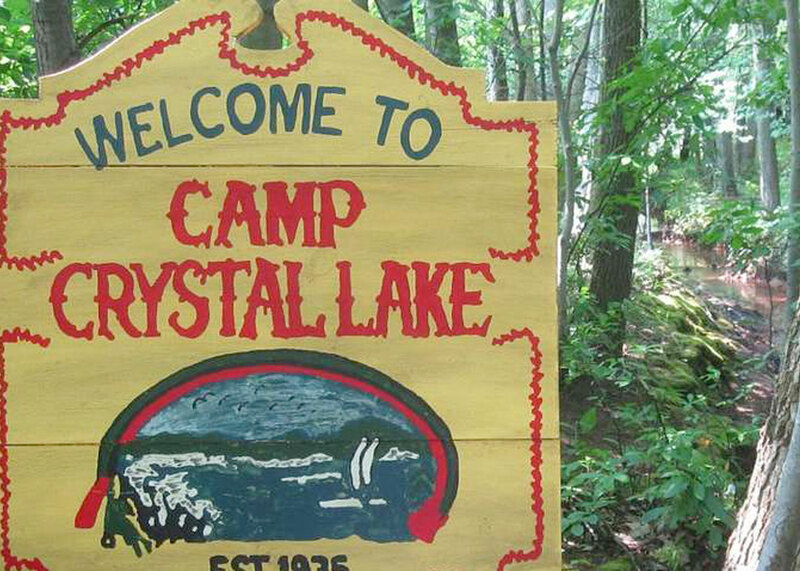 The tour is a walking tour and starts with a short hike to the shore of Crystal Lake, along which the cabin that was used for the shower scenes is located. It’s helpful that at each tour stop there are enlarged photos of the scenes that were shot at each location. Without the helpful hints, it might be difficult, even for the most ardent fan, to recognize the locations. At each stop, the guide explains what scenes were shot at the location and gives a behind the scenes story. We were also given some time to take pictures before moving on to the next location. About half way through the tour, we stopped at the cabin that was used as Alice’s cabin in the movie. This was the cabin with the snake killing scene. Inside was Adrienne, signing autographs and taking pictures with fans. Adrienne was a delight and seemed to be having a blast meeting her fans and talking about revisiting the campsite. 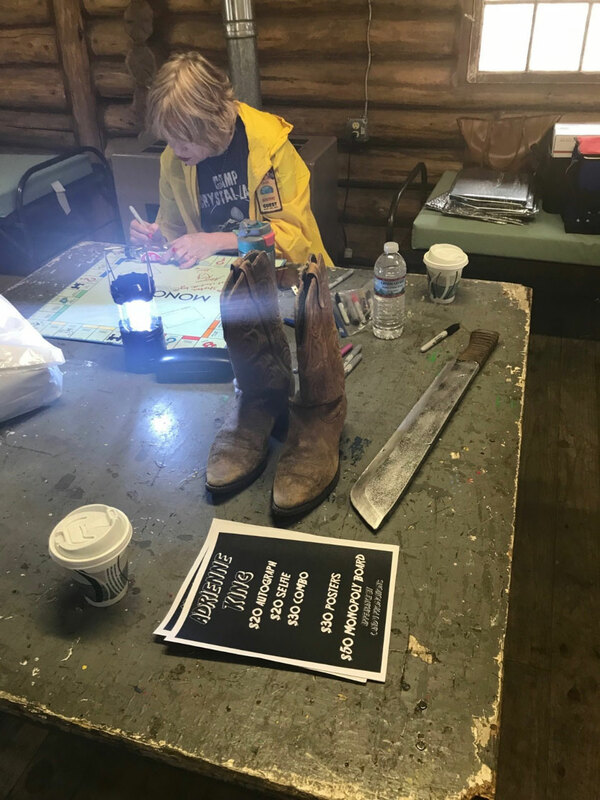 She announced on her Facebook page, a few days after the tour, that the money raised from the 2018 tours was enough for the Boy Scouts to have the Trading Post building rebuilt. That was the building near the beginning of the movie where Alice is seen talking to Steve and fixing the gutters. The building, unfortunately, no longer exists. After the group was finished meeting Adrienne, we set out on the last leg of the tour with a few final stops. 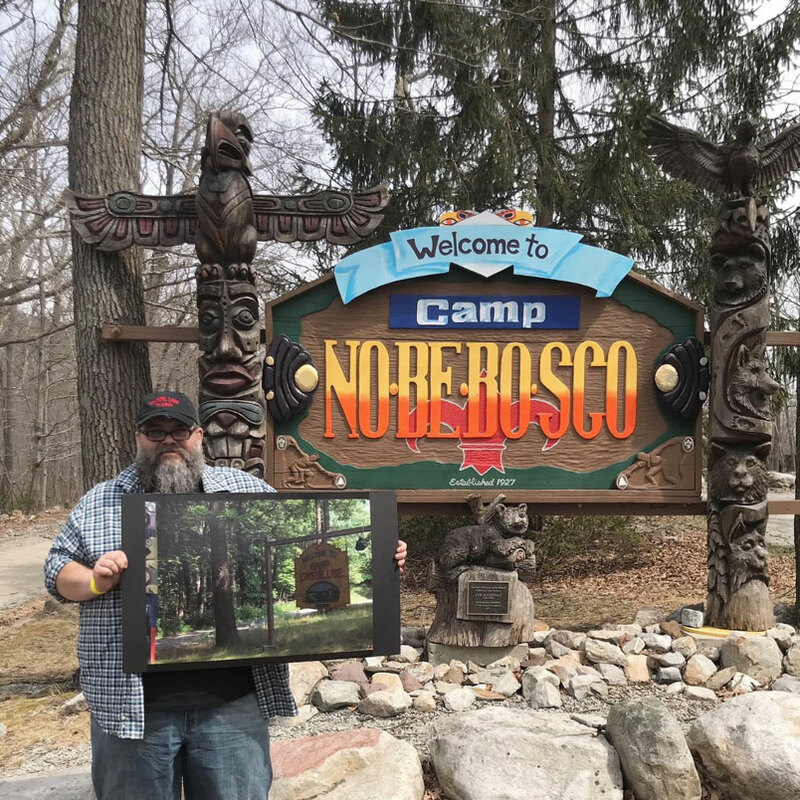 We looped around to end the tour at the Camp No-Be-Bo-Sco sign and finally at the docks of Crystal Lake. 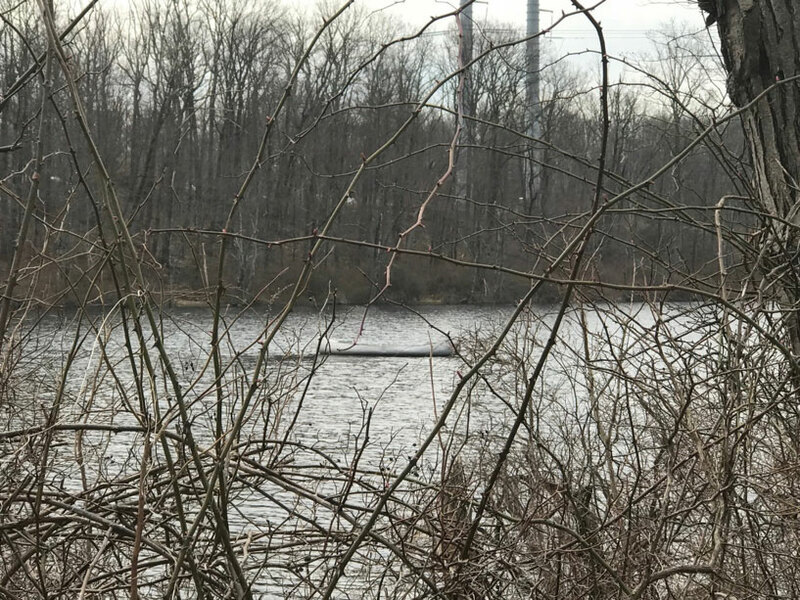 For an extra purchase, fans could take pictures with Adrienne on the shore of the lake either in or next to a 1980s era canoe (like the one in the movie). Additionally, vials were available to purchase if you want to take some of that lake water home with you. The tour was approximately 3 1/2 hours long and one of the best experiences I’ve ever had. The grounds are beautiful, and the volunteers who act as tour guides are fantastic. The guides are fun, knowledgeable, helpful, and mindful that everyone is there to have a good time. I cannot recommend this tour enough to fans of FRIDAY THE 13TH. I would even do it again. There is another Friday the 13th in 2018, but it’s during the Scouts’ prime camping season, when tours are not likely to take place. The next 13th that falls on a Friday isn’t until 2019, in the Fall. 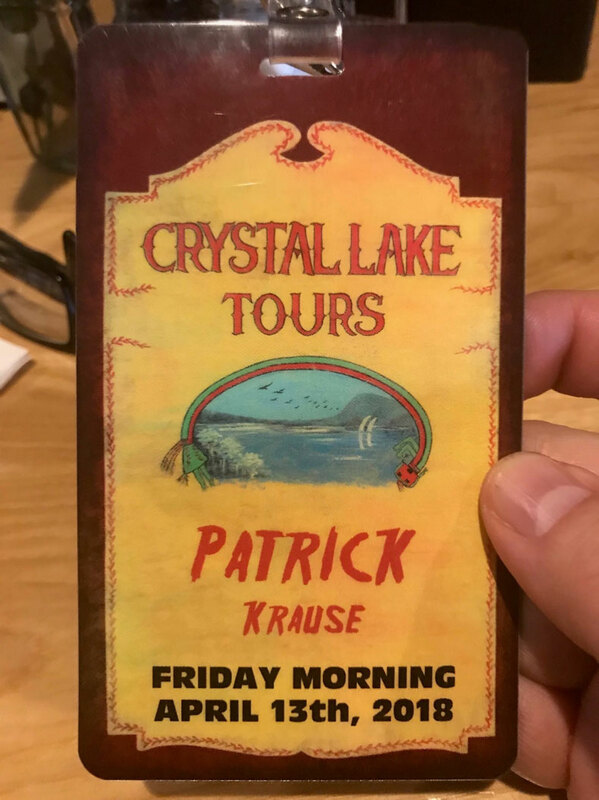 So circle that date on your calendars and make sure you sign up for the Camp Crystal Lake Tours newsletter, by visiting their website at https://www.crystallaketours.com/tour/. Signing up for their email list will ensure you’re kept up to date on future announcements. The site also has FAQ information as well as an online store if you want to pick up some shirts or memorabilia from the site. While the camp is closed to the public, fans can always visit Blairstown, NJ, and check out the other filming locations. The Blairstown Museum has maps for sale to direct you to the spots you’ll recognize from the movie. Additionally, they are planning weekend events for July 13, 2018, including a meet and greet with Ted White from FRIDAY THE 13th PART 2, the actor who played the first adult Jason Voorhees. ** Camp No-Be-Bo-Sco is private property of the Boy Scouts of America. To protect the health and safety of our youth campers, the camp is not open to visitors at any time outside an official tour date. Having trespassers on the property makes it harder to get approval for the official tours. Anyone caught trespassing on the campgrounds outside an official tour date, or on the tour site without a ticket, will be arrested.